Newton struggled and thrashed, knocking out one of the nurses. Members of the National Black United Front, and the New Black Panther Party had gathered outside the prison. 29 September 1912 (+) is born in Muntowen, Poland. 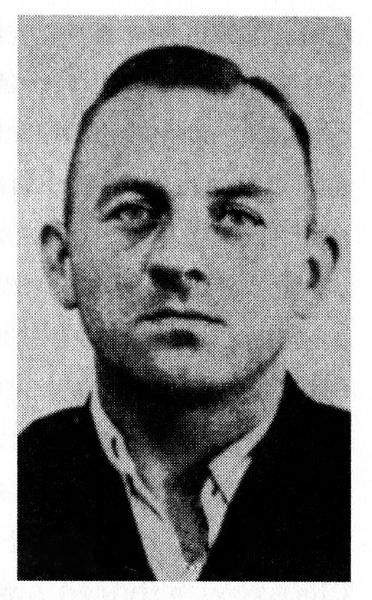 13 August 1939 (x) beaten and stabbed Frau Budzinski in Berlin, Germany. 21 August 1940 (x) attacked and raped Julie Schuhmacher in Berlin, Germany. 20 September 1940 (x) thrown out of a train Frau Lausche in Berlin, Germany. 11 October 1940 (-) attacked Ingeborg Goetz in Berlin, Germany. 4 December 1940 (-) attacked and thrown out of a train Elfriede Franke in Berlin, Germany. 5 January 1941 (-) attacked and thrown out of a train Hedwig Ebauer in Berlin, Germany. 13 January 1941 (x) assaulted Lotte Marlow in Berlin, Germany. 12 February 1941 (-) attacked and thrown out of a train Johanna Voigt in Berlin, Germany. 20 February 1941 (-) beaten to death Lisa Nowak in Berlin, Germany. 24 July 1941 (x) is sentenced to death in Berlin, Germany. 26 July 1941 (-) is executed by the Guillotine in Berlin, Germany.